Due to the deterioration of the world’s ecological situation and the negative impact of environmental factors appearance of cancers of various types tend to increase. Healthy people develop malignant and benign tutors of different nature and localization. This situation is forcing scientists in the field of medicine to carry out a large number of researches and develop new technologies in order to find the best, safest and most effective means for the treatment of cancer. Cancer treatment abroad in many cases is the best choice, because the level of development of medicine and access to the latest developments there very high and on the other hand, the price can be much lower than in the United States, for example. All modern techniques associated with the fight against cancer share common principles. The list of principles include concepts such as velocity, complexity and safety. It’s no secret that patients suffering from advanced stage cancer cannot be completely cured, but their quality of life can be improved dramatically. Improving the quality of life of the patient is achieved by constant monitoring and maintenance of his health, as well as timely prevention of relapses. These types of cancer treatment considered to be the main method of fighting the disease foci of any localization. Chemotherapy is often carried out in parallel with surgical treatment. Chemotherapy agents destroy cancer cells in different areas of the body. Since one of the drawbacks of this treatment is that it’s damages healthy cells also, supportive therapy is needed for a quicker recovery. Chemotherapy is the most effective treatment method for such cancers like testicular cancer, breast cancer, uterine cancer, Ewing’s sarcoma and others. In a situation where oncology disease is diagnosed on the first or second stage, chemotherapy may contribute to the complete recovery of the patient. The exact plan of the patient’s medical treatment depends primarily on the location of malignancy and the stage of the disease. After determining the above factors, the doctors can decide on use of tumor vaccines, hormone and symptomatic therapy. These treatments are generally used as additional measures that accompany the main method of treatment. 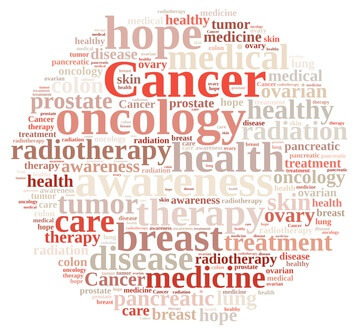 Consider the most common types of cancer and the nature of their medical treatment. Breast cancer and prostate cancer – in case of cancer in the prostate or breast hormonal therapy is used frequently. In such treatment drugs suspend hormone synthesis, which is the main reason for the rapid growth of tumors. Bone and brain cancers – chemotherapy and other drugs are less effective in these case, usually surgery is the best course of action. However, chemotherapy and radiotherapy can be used to make sure that all residual cancer cells in the body are gone. Oncology of cartilage and bone – in those cases, medications to strengthen the bone are prescribed, to avoid pathological fractures. wth. Often these small-cell cancers, which are often found in lungs, uterus or head and neck area. with radioactive isotopes, neutrons and protons. 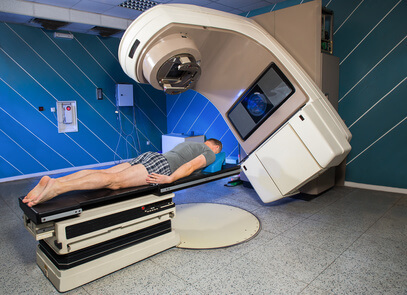 Radiation therapy is often used as part of preparation process before surgery. This is done in order to make the primary tutor as small as possible before the excision. Radiotherapy after surgery is primarily used to destroy local cancer cells which might still be present in the patient’s body. Surgery is applied during the first three stages of the disease. The surgeon removes the main foci of tumor formation and adjacent tissues. In the last stage – the fourth, the tumor is usually managed therapeutically, not surgically. This is due to the development and spread of metastases on the body, which can not all be removed with surgically. Removing the main or even most of the secondary lesions has no effect on the treatment outcome. Surgery is considered to be the main most effective method of cancer treatment. If the lesion is removed completely during the early stages of the disease, the chances of survival and complete recovery are very high. After surgery the patient usually undergoes several cycles of chemo and/or radiotherapy. This method of treatment is important for fighting oncological diseases in the fourth stage. The main goal of palliative treatment is to prolong patients’ life and to improve its quality. During the course of treatment specialists focus on eradicating the main symptoms caused by the disease. Pain management and low dose chemotherapy usually used for this purpose.